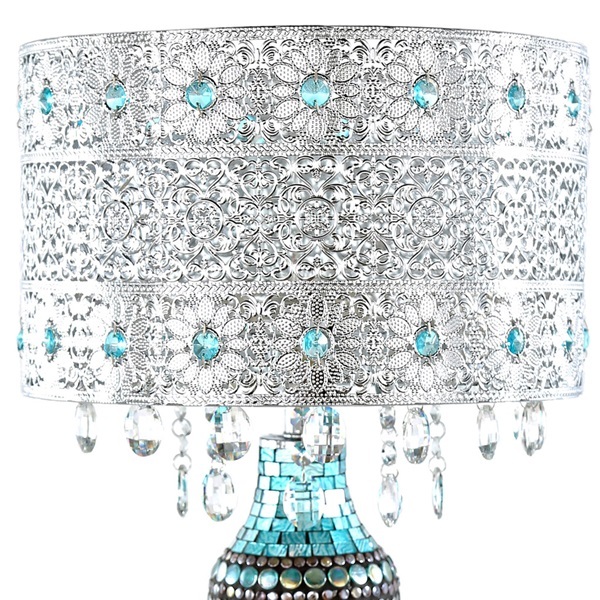 Life is fun and free! 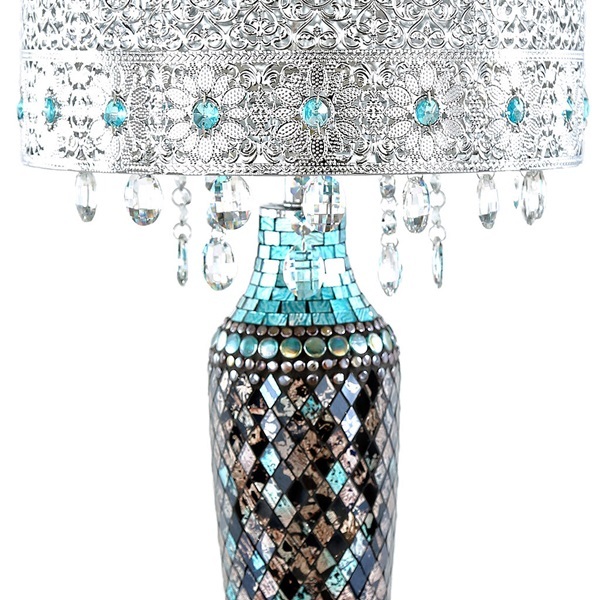 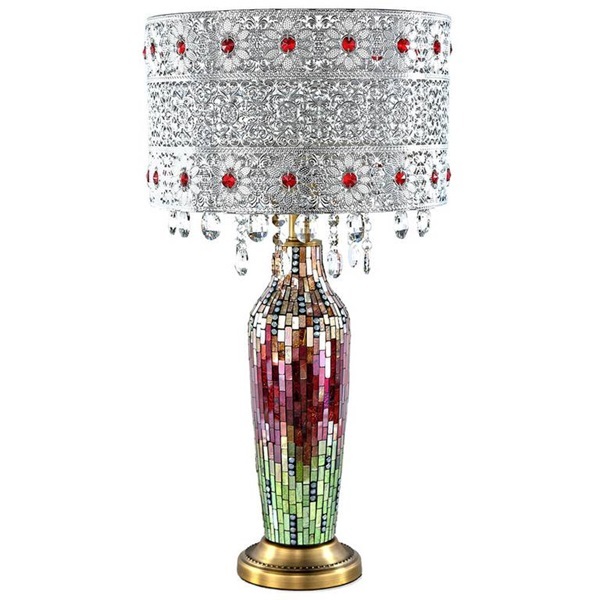 So is this beautifully crafted crystal beaded table lamp with glass mosaic base. 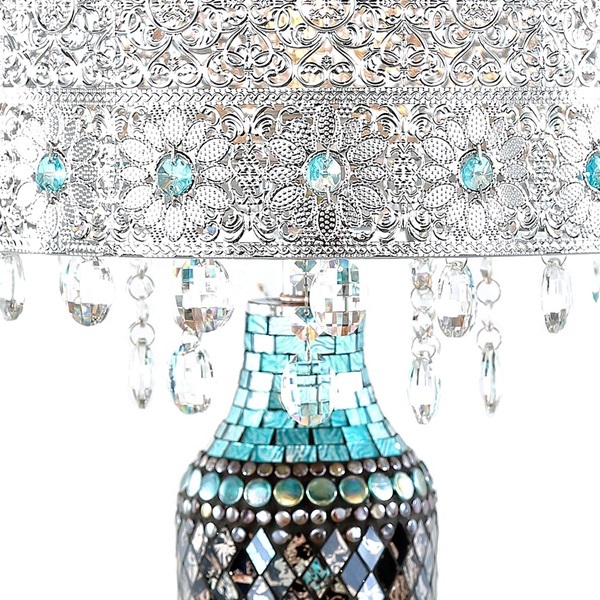 The metal shade features a lace work pattern, gems, and clear hanging crystals. 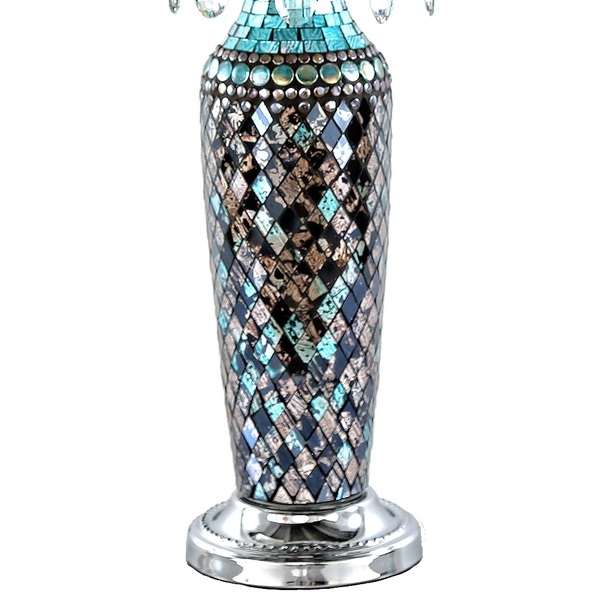 The base is a glass mosaic design. Each piece alone is stunning, but put them together and you have a showstopper! 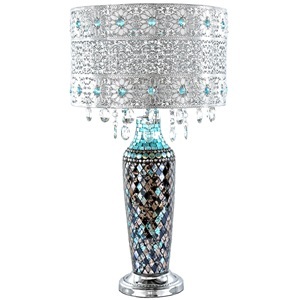 Great for a forgotten corner of your living room, or as a focal point in the bedroom. 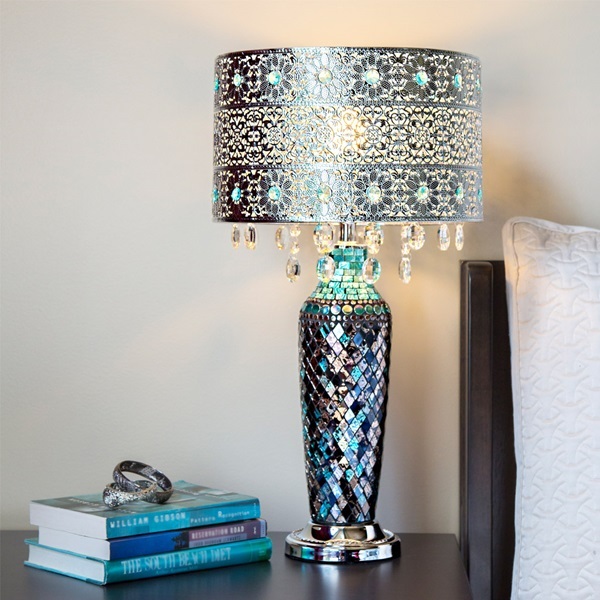 Bring in the light and glitter! 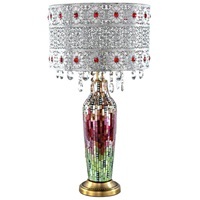 GLASS E26, Type A, 60W (Not Included 24.25" 13" inline 13"